Los Angeles hosts several art fairs in January, kicking off the 2017 international art fair circuit. 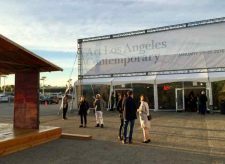 But with the Los Angeles art fairs spread over a three week period, and each of the fairs offering quite different types of art, you may want to plan ahead. To help you to find the art that interests you the most, here is Perkey Fine Art Advisor‘s guide to what to see at the Los Angeles art fairs. 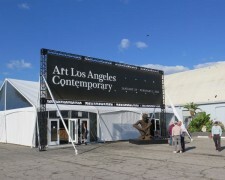 Art Los Angeles Contemporary at Barker Hangar in Santa Monica, photographed during last year’s event, is one of six art fairs in Los Angeles in January, 2016. Skies in L.A. may be mostly sunny, but in January it’s raining art in Los Angeles! There will be six art fairs in Los Angeles this month. 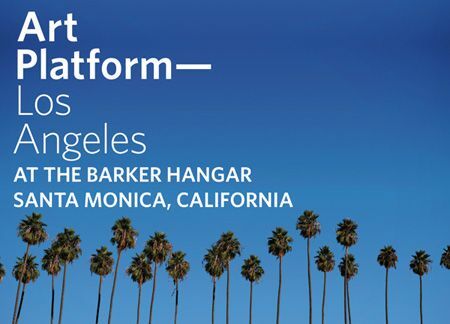 Be sure to take this once-a-year opportunity to visit the art fairs in Los Angeles. You can experience diverse art from around the world, discover exciting new art, meet artists and mingle with collectors and art professionals. 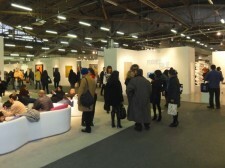 Visitors during the VIP preview at The Armory Show experience a vast selection of art. On the right is Dan Graham’s “Triangular Pavilion”. 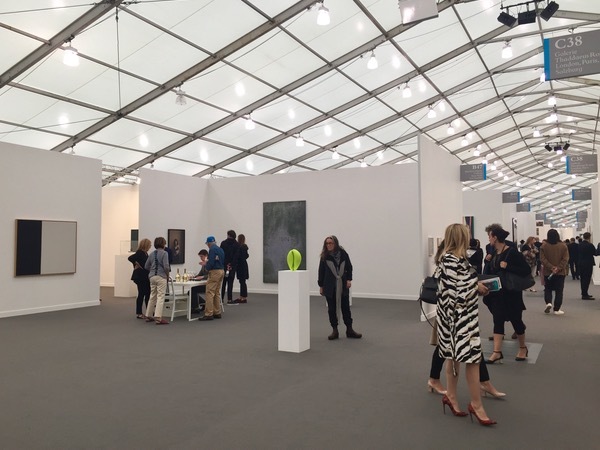 Check out my top picks of artworks from The Armory Show 2015 and other art fairs in New York. Enjoy the following photos! As an art advisor, I travel to various art fairs such as Art Basel Miami Beach throughout the year, and have attended the annual Armory Show in New York many times. 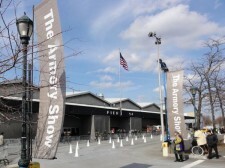 My trip last week to The Armory Show and other art fairs did not disappoint! I encountered terrific works of art for my clients, everything from affordable art by young artists, to blue-chip works by leading contemporary artists. 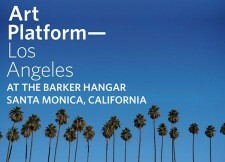 Don’t Miss the Art Fairs in Los Angeles! 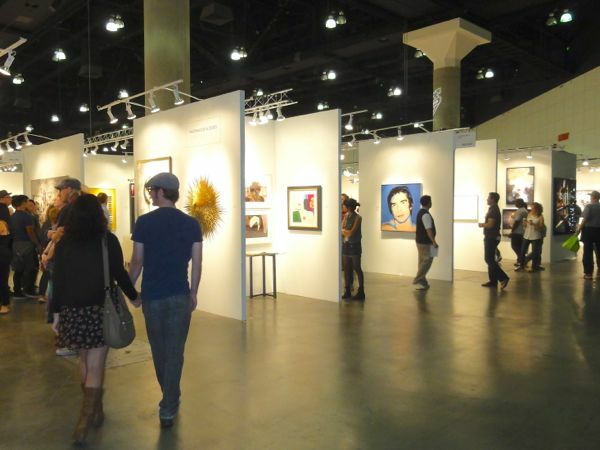 LA Art Show offers diverse art styles, subjects and mediums, from contemporary to historic. Photo by Perkey Fine Art Advisor. Enjoy a huge variety of art from around the world, see works by your favorite artists, and discover exciting new art! It’s all happening at the art fairs coming to Los Angeles this month. Each of the art fairs has a different focus, so be sure to attend the fairs that feature the types of art you like. See following descriptions. Feel free to contact Perkey Fine Art Advisor and I will be glad to answer your art collecting questions and help you to get the most from your art fair experiences. So much art, so little time! During the first week of December, Miami hosts over 20 art fairs, plus a galaxy of pop-up art events, museum shows, public art installations and fabulous parties. You will want to stay in Miami at least four days to enjoy this whirlwind art experience. What to see? Spend at least one full day at the main event, Art Basel Miami Beach, held at the Miami Beach Convention Center. One of the largest and most important art fairs in the world, Art Basel Miami Beach features more than 260 leading galleries from 31 countries and is not to be missed. Then split the rest of your time in Miami between the other art fairs and events. Select those fairs that interest you the most, since it will be impossible to see everything this week. How to navigate the choices? Check out this Guide to Miami Art Week During Art Basel, with links to websites of the various art fairs. Find those fairs that have the type of art that interests you. Also, look at the “Exhibitors” on each site, and see if any of the galleries listed may offer the type of art you like. In a given day, visit art fairs located in the same area of the city to minimize the time and expense of travel between fairs. Most of the Miami art fairs and events are located in three areas: 1) Miami Beach, 2) Midtown, Wynwood & Design District, and 3) Downtown, Brickell & Coconut Grove. Plan your itineray with this handy online Map of Miami Art Week 2014. Contact me at Perkey Fine Art Advisor for more tips and my art picks from Art Basel Miami Beach throughout the week. See you at the fairs! The pulse of the art world is captured at the art fairs that take place in New York City in March every year. The Big Apple buzzes with excitement as throngs of art lovers flock to the art fairs to get a look at art from around the world, and collectors vie to acquire works by leading international artists and hot new talent. 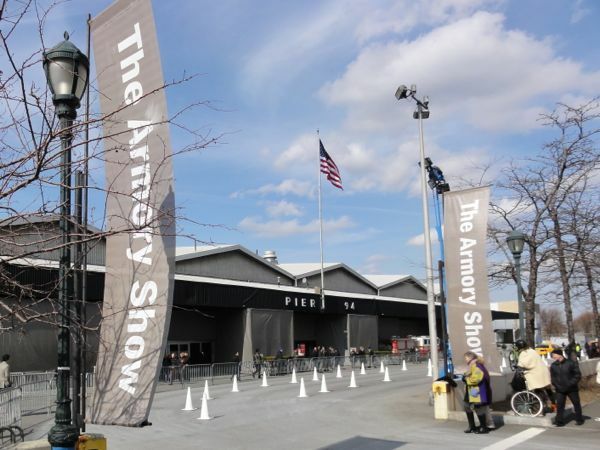 The Armory Show, one of the world’s largest art fairs, is the main attraction, augmented by number of other fairs in NYC the same week, including ADAA The Art Show, Volta NY, and Scope NY. Check out my photos below of some of the most remarkable artworks at the NY art fairs I attended. What catches your eye? Feel free to contact Perkey Fine Art Advisor for the lowdown on art market trends and how to find the perfect art for you! 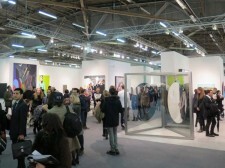 The scene at The Armory Show 2013 in New York City. Would you like to see highlights of one of the world’s largest contemporary art fairs? I am excited to share top picks from my annual pilgrimage in March to New York City for The Armory Show, a massive fair featuring over 210 galleries from 30 countries, plus other art fairs happening in Manhattan during the same time. It is a weeklong feast of art! Along with The Armory Show, I packed in visits to five other art fairs, including The Art Show of ADAA and Volta NY, attended several special art events and dropped by numerous galleries in NYC.